Some actors have said they will never work with the acclaimed director again. Woody Allen said in a rare interview published Monday that he should be the "poster boy" of the "MeToo" movement because having worked with "hundreds of actresses" over five decades, not one has ever accused him of "any kind of impropriety at all." 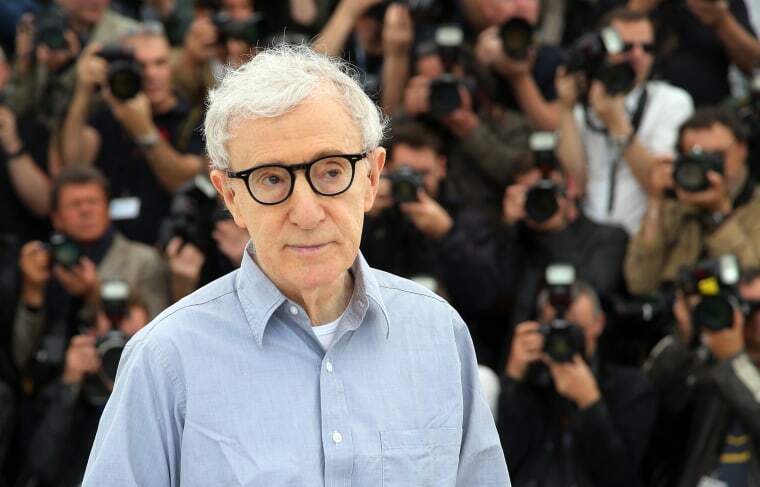 Allen also again denied allegations by his adopted daughter, Dylan Farrow, that he had molested her as a child, a claim that has led some in Hollywood to shun the acclaimed director. Allen's interview with the Argentine news program "Periodismo Para Todos" (Journalism for All) was first reported by the news website Quartz. "I am a big advocate of the Me Too movement," Allen said in the interview. "I feel when they find people who harass innocent women and men, it's a good thing that they're exposing them." In the interview, conducted in New York by journalist Jorge Lanata, Allen said he is a proponent of women's rights, having hired over 200 women crew members, created award-winning roles for women and paid them equally with men. "I should be the poster boy for the MeToo Movement because I have worked in movies for 50 years and ... I worked with hundreds of actresses," Allen said. He continued: "I've worked with hundreds of actresses and not a single one — big ones, famous ones, ones starting out — have ever, ever suggested any kind of impropriety at all. I've always had a wonderful record with them." Allen said he was also upset about being lumped in with men who have been accused by several women of seriously bad behavior. He said the allegations from Dylan Farrow are different because they had been investigated and never substantiated. "This is something that has been thoroughly looked at 25 years ago by all the authorities, and everybody came to the conclusion that it was untrue," Allen said. "And that was the end, and I've gone on with my life. For it to come back now, it's a terrible thing to accuse a person of. I'm a man with a family and my own children, so of course it's upsetting." Last month, Allen's son Moses Farrow wrote a blog post defending his father against Dylan Farrow's allegations. As the #MeToo Movement has gained steam, a growing number of actors have said they won't work with Allen again. Director and actress Greta Gerwig, who appeared in "To Rome With Love," said in an online discussion with TV writer Aaron Sorkin that she regretted her decision to work with Allen. “I have not worked for him again, and I will not work for him again," she said. Colin Firth, Rachel Brosnahan and Timothee Chalamet have also said they won't work with him again.